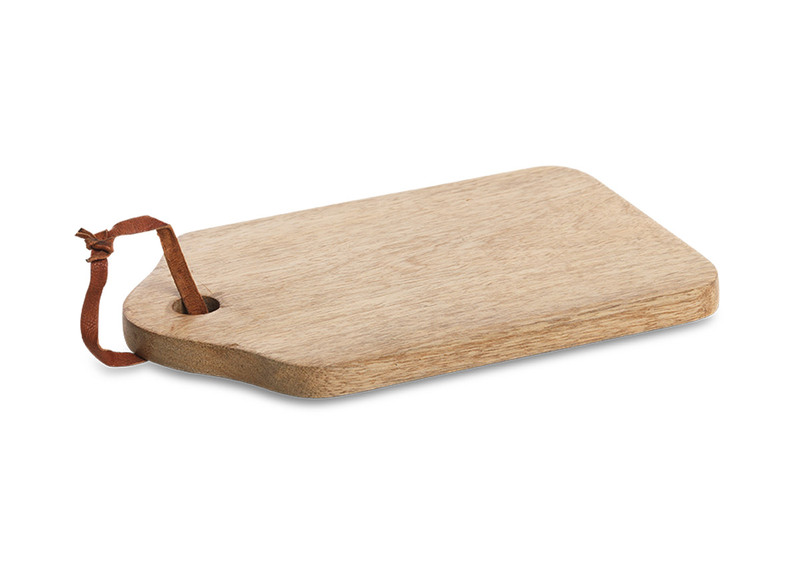 This charming mango wood chopping board works as either a food preparation board or a serving board. Comes with a lovely leather tie for hanging. Care instructions: to care for your mango wood wash in soapy water, rinse and dry immediately. To nourish and protect the natural wood, rub an edible oil such as olive oil or walnut oil into the surface with a cloth.